Photography is a kind of hobby I have. I enjoy taking photos like anyone else take photos of the kids, days out and family stuff. Though my main interest in photography is architectural and landscapes i.e. like churches, old building, nice scenic views etc. Just find this kind of picture interesting as one of the college course’s I did was in architecture. 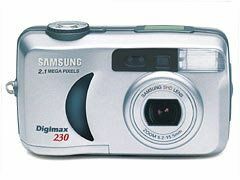 I learnt photography in college when I did a 3D design course and one of the parts of the course was photography, this was before digital and used 35mm slr cameras. I learnt how to develop film in darkroom. This was sometimes difficult as you had to keep in the photo in the different types of developing liquid for just the right amount of the to get the exposure that you wanted. Though now it is a lot easier with a digital camera and basic pc editing software. Ive had a few digital camera’s over the years started with a samsung digimax camera, and don’t laugh was only 2mp and the size of a brick, then to be honest lost bit of interest in photography, so then was a fair few years before buying the Casio ex-s600, this is a very compact 6mp digital camera it is only 19mm thick at the thickest point, with a three times optical zoom. I chose this camera because of the size so is easy to slip into pocket and take anywhere. Like most people now I have a 2.1mp camera on my phone but there is no substitute for a good digital camera, as the Casio has got as got 34 different scene modes for use when taking different types of photos by adjusting shutter speed and aperture. This can make it easy to take the perfect picture without any knowledge of camera settings, ie taking a picture of a waterfall the camera has two modes useful for this one is fast flowing water, this uses a slow shutter speed, this keeps the shutter open longer to take the picture so the effect on the water would be of the water being like a blur. There is also the mode splashing water this opens the shutter for a shorted periods of time, this captures the water droplets etc. Then I upgraded to the panasonic dmc-fz18, this at the time was the best bridge type camera, had a great 18x optical zoom, full manual control, very good battery life from the rechargeable battery pack, video wasn’t to bad could capture 640×480 @ 30fps, though only with mono sound, I mainly chose this camera as was the best of the bunch of superzoom bridge cameras available at the time i brought it. also i wanted a bit more control over what kind of pictures i could take and this offered this over the casio, though I still have the casio as still a great camera to keep in your pocket as still a very compact camera. I did take some great photos withe the fz18, have a look at my photo website or the link to my picasa or flickr sites from the links on the right. In 2009 i decided to upgrade my camera again, but still stayed with panasonic and upgraded to the DMC-FZ38, as i meant i could carry on using the extra telephoto and macro lenses i had, aswell as the extra battery and car charger for the fz18. 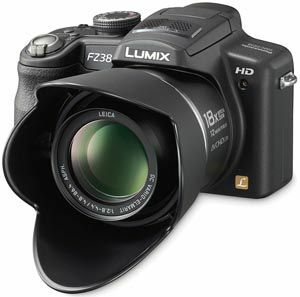 I really only upgraded as the fz38 could do 720p avchd video with dolby stereo sound, and also could use the full zoom range in video mode that the fz18 couldn’t do, and just a slight jump in resolution to 12mp. Have a look at some of the pictures taken with all these cameras on my photo website or the link to my picasa or flickr pages on the links to the right. I am also planning to add some tip for taking photos and tip and information on software to edit and organise your photos. I have a full photo gallery on there as well as on my picasa and Flickr pages, Click the photo albums link at the top of the page.